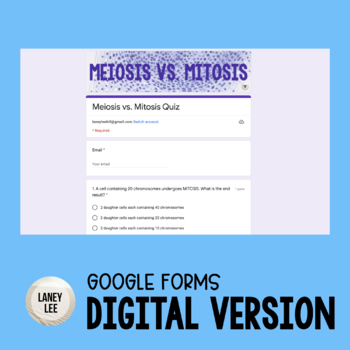 Use this multiple choice quiz as an easy to use formative assessment. 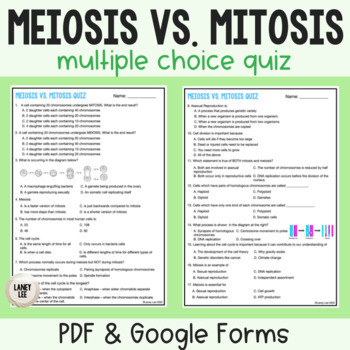 Questions cover mitosis, meiosis, and their similarities and differences. Editable versions and answer key included. Get everything you need to teach and assess the Cell Cycle for a discount in my Cell Cycle Bundle!